Guildford Golf Club on the Merrow Downs enjoys a wealth of history and tradition, home to one of the finest all-weather courses in the South of England. A private Members Club, founded in 1886, Guildford is the oldest golf course in Surrey. The new Clubhouse was officially opened in 1998 by Peter Alliss. The character of the original Victorian building was preserved while providing additional areas and modern facilities. 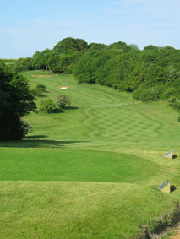 Set on the North Downs at Merrow, Guildford Golf Course is a par 69 course and 6090 Yards in length of the competition tees with a Standard Scratch Index of 70.